PCWin Note: Image Effects 1.0 download version indexed from servers all over the world. There are inherent dangers in the use of any software available for download on the Internet. PCWin free download center makes no representations as to the content of Image Effects version/build 1.0 is accurate, complete, virus free or do not infringe the rights of any third party. PCWin has not developed this software Image Effects and in no way responsible for the use of the software and any damage done to your systems. You are solely responsible for adequate protection and backup of the data and equipment used in connection with using software Image Effects. Veqa Image Effects - Veqa Image Effects is a PHP tool to get Web image effects on the fly. Features: sharpen, blur, brightness, contrast, colorize, grayscale, invert, rotate, flip, and reformat. It supports JPG, GIF, PNG, and BMP formats and works with GD or ImageMagick. Creative DW Image Effects - The Creative DW Image Effects is a Dreamweaver extension that applies Photoshop-like effects to images. It supports both static effects and rollover effects. It also supports button actions and the effects can be combined and re-edited at any time. Bytescout Watermarking (PRO) - Watermarking Pro for Windows is a tool to watermark images, watermark photo in a batch mode with support for image effects, image resizing, preview support and more! AMS Image Effects - AMS Image Effects has simple and intuitive interface, so editing of pictures is very easy. Graphics Converter Pro 2011 - Powerful batch graphics converter, imports more than 500 graphic file formats and exports 100 formats. Supports 50 image filters and 12 image effects, slide show, desktop capture, file association and live update. Image Converter - Need convert images? Congratulations! Image Converter is a small Windows program which allow you to convert images in a very easy way, just by drag and drop image files to the program main window. More Software of "Aleksei Taranov"
Altarsoft Ftp Client - Program allows you to transfer and manage files using FTP (File Transfer Protocol). 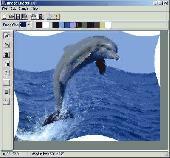 Active Photo Editor - Program for image editing and screenshots capture. AltarSoft Download Manager - Program for downloading files from internet. Altarsoft Icon Editor - Program for creating and editing icons.